AIR LIVE RADIO is an app having all AIR radio stations running 24 X7 online.You can enjoy listening to your music on your androidphone, no matter where you are and best part is that, you get tolisten to your favorite vividh Bharati or AIR FM Gold programs freeby just having internet connection, consuming very little data.This app can work even with 2G/3G connection.This is one of itskind in Google store with all station working. 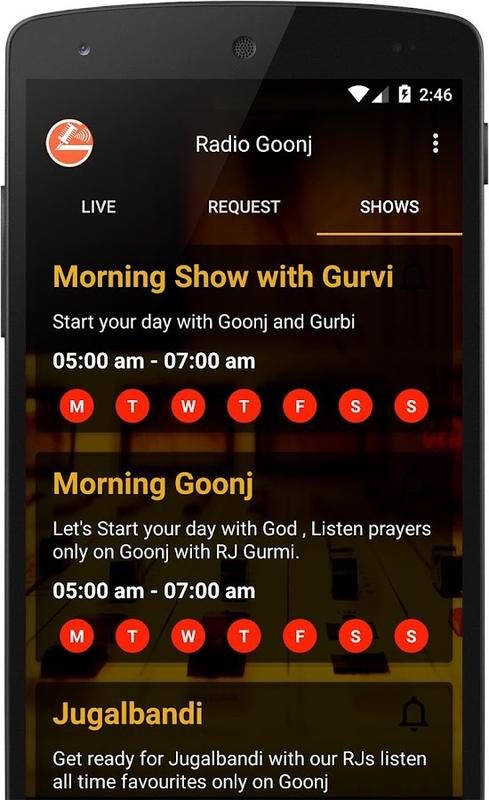 The app is simpleand you can select your stations and choose your default mobileplayer or ES player to listen, This has been done so that there areno interpretations during playback.Some of the Radio stations:1VIVIDH BHARATI2. AIR FM RAINBOW3. AIR GOLD4. AIR KANNADA5. AIRGUJARATI6. AIR MARATHI7. AIR PUNJABI8. AIR MALAYALAM9. AIR TAMIL10.AIR TELUGU11. AIR BANGLA12. AIR KASHMIR13. AIR ODIYA14. AIRASSAMESE15. AIR URDU16. AIR RAAGAMAIR LIVE RADIO Disclaimer :AIRLIVE RADIO does not stream any of the stations included in thisapp, all the streaming links are from third parties available freeon the internet to listen. All the credit goes to Prasar Bharati,Govt. of India. The app is just a collection of all the availablestations for AIR listeners in the form of app. If any one findsthis app violating broadcasting any copyright protected channels,you can Email us the channel name at [email protected] We willremove the channel from our app list subject to validity of youremail request. For bugs, FM addition or removal request, pleasecontact us at [email protected] none of the channels arestreamed by AIR LIVE RADIO, we are not responsible for its contentsbeing streamed by the radio stations.Kindly help us to make thisapp better by giving your valuable feedback and suggestions in thecomment section or you can mail us @ [email protected] If anystation is not playing please inform us so that we can update theurl. Please help us by rating this app for the effort put in, sothat it can reach many listeners. For monetization this app needsto display ads during play back and request all users to cooperate. 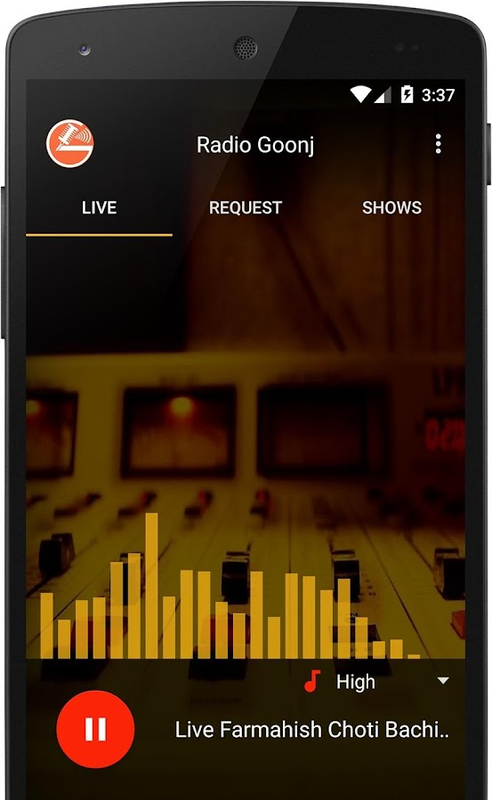 Bison Live Radio is a Mobile Radio app allows you to listen allinternet Radios stations for free. 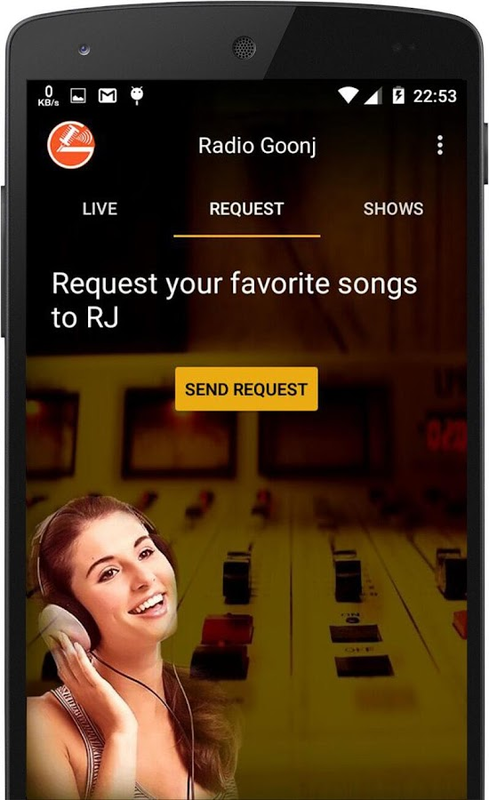 Radio Online is the best radiolistening application with a selection of the best radio stationsin the world by country, Listen to free music and the top of themost popular radio live for free. Bison Live Radio contains Allradios and the best radios of the world, enjoy listening all radiosaround the world. We bring all Online fm radio Station from aroundthe world. FM radio is the simplest way of listening to yourfavorite AM/FM radio stations anywhere any time. 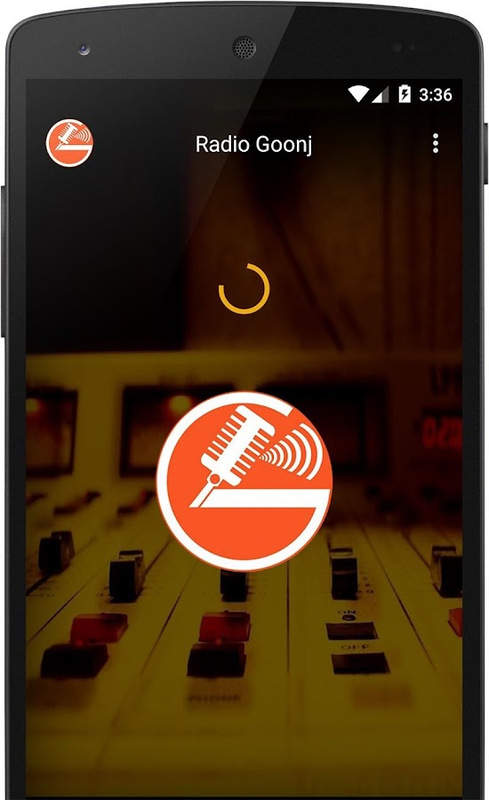 Radio recordingfeature .... Now when you listen to the radio you will be able torecord your favorite and favorite moments. You will be able toshare the files you have saved with your friends. Radio USA /America, Radio Brazil, Radio Israil, Radio Turkey, Radio Poland,Radio Russia, Radio Mexico, Radio Ukraine, Radio Agentina, RadioGreece, Radio France, Radio Spain, Radio Germany Several radios areadded every day. Please let us know if a radio station no longerworks to address them, and if you feel like it adds a radio justsend us an email or leave a comment. ♫ Features ♫ ☛ Easy interface. ☛ Background playing mode. ☛ Radiolist & Easy Exit. ♫ Radio Stations ♫ Dhaka FM 90.4 FM RadioFoorti 88.0 FM ABC Radio 89.2 FM Jago FM 94.4 FM Peoples Radio 91.6FM Bangladesh Betar FM Radio Bangladesh Betar AM Radio Radio Dhoni91.2 FM Radio High 92.7 FM Radio Next 93.2 FM Radio Bhumi 92.8 FMColours Radio 101.6 FM Radio Shadhin 92.4 FM Radio Today 89.6 FMRadio Aamar 88.4 FM Lemon24 Radio Dhaka Radio Durbar Radio SwadeshBBC Bangla Parikrama BBC Bangla Pratyusa BBC Bangla Probaho BBCBangla Provati RadioBanGLa Radio Bangla Rock Radio Bihongo RadioBongonet My Bangla Gaan Radio2Fun Quran er Alo Radio Aha RadioGoonGoon Radio Abirvab Radio Borno Sporsho Bangla Radio eDoctorRadio Allahu Akbar Radio Radio Kotha Radio Rupkotha Radio ChomokRadio Dak BD Radio Gaanwala Radio Gaan Baksho Radio Janjot RadioKaratoa Radio Nree Radio Munna Radio Mainamati Radio Abak RadioMintu Bangla Amar Ohongkar Radio Zindagi Radio Go Yester YearsRadio Cosmic Symphony Radio Songi Radio Voice24 Radio Amber RadioFnF Radio Mashrafe Bangla Wadio Radio HoiChoi RadioBoss24 RadioVubon Islamic Radio Radio Saradin bhoot fm app radio doorbin RadioMetropolitan 88.8 FM City FM 96.0 FM Edge 95.6 FM Radio Capital FM94.8 Radio Dinrat 93.6 FM Radio Active Desh Radio Radio MasalaBangla Radio Hit Radio Dhol Radio CIUS Radio City Radio Age TimesRadio Radio Uttara Radio Bogra Bangla Radio 24 Radio Jibon RadioAlibaba Radio Boss24 Radio Mrittika Radio Chowa offline fm radio bdGrameen radio Radio Lolipop Washington Bangla Radio on Internet dorabc radio & more.... ♪ বিবিসি বাংলা রেডিও, রেডিও বাংলাদেশ ♪ AMbangla radio tuner free app globally. ♪ Live online & offlinebangla radio station for free of bangladesh. ♪ Globally listenbangladesh betar radio stations. ♪ Listen bangla bhoot story &bhoot story in bangla audio radio programs. ♪ Live all bangla radiofm and online stations. ♪ Live bbc bangla radio & total banglaradio fm. ♪ Live bangla fm radio all stations worldwide. ♪ Onlineradio bd in bangla radios & also bd online fm radios. ♪ Livelisten bangla radio station for free from bangladesh. ♪ Banglaradio fm and bbc bangla radio is here. ♪ All bangla radio onlineapps bd and indian bangla all fm radio live. ♪ Worldwide live allbangla fm radio with recording. ♪ FM radio app bangladesh free fromdhaka. ♪ It's includes dhaka radio app fm and abc radio fm 89.2apps radio stations. ♪ Online & FM radio stations desi radiobangla apps live worldwide. ♪ Radio fm bd free without internetfrom android radio station for free and bd radio stations. ♪ Livekolkata bangla fm radio application & kolkata bangla songs bybangladesh radio. ♪ Bangla apps for android for online radiobangladesh & online radio bangladesh.